Get ready for another awesome game, kiddos, Zombie Driver has driver has been loosed upon Android! Available today in Google Play and TegraZone, the top-down driver is a full-on version that was so popular on PC and consoles. Everything you remember from the original is here including bosses, missions, and game modes. What makes it great for Android, though, is the fact that it also includes controller, touch, and keyboard support and even plugs into TV’s through HDMI. Because it’s built with Tegra 3 processors in mind, Zombie Driver includes “even more realistic physics simulation, rich textures, massive amounts of zombie carnage and unprecedented destruction effects”. Totally worth the $6.99 price tag, yo. Read on to learn more details about Zombie Driver and for instructions on how you can win a Tegra 3-powered Nexus 7 tablet. 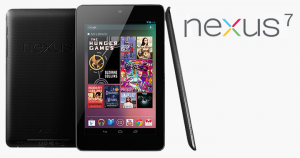 Win one of two free Asus Nexus 7 (16GB) tablets from AndroidGuys and NVIDIA! Because they’re a bunch of awesome folks, the NVIDIA Tegra team have given us a pair of 16GB Nexus 7 tablets to give away. And, seeing as we’re not the sort of guys to make things difficult on everyone, we’re going to make it super easy to enter yourself. Leave a comment on this post between now and Sunday, November 4 (11:59PM EST). It does’t have to be anything difficult or overly wordy – maybe just a nice message about AndroidGuys or NVIDIA. Multiple comments will be disregarded… and we have a way to know if you’re abusing things. Tweet “@AndroidGuys @NVIDIATegra are giving out a pair of Nexus 7 tablets and I’m gonna win one! #AGhalloween” between now and Sunday, November 4 (11:59PM EST). Tweet as often as you’d like! We’ll be pulling the winner’s names and sharing them on Monday so be sure to check back on November 5. Fine print: We know this will anger a good number of you but we have to keep this limited to folks living in the United States.